There could be no better setting in which to discover the nature of whiskey than the Boyne Valley. Our rural setting is a sprawling tapestry of fertile land, wild countryside, and native woodlands surrounding the mythical River Boyne. The River Boyne itself has been revered since ancient times. 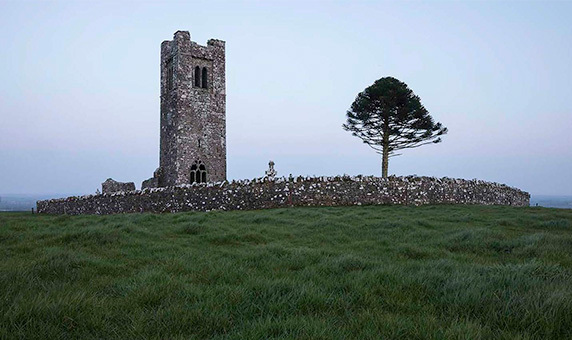 Across its valley, passage tombs, monastic ruins, and historic battlefields dot the landscape while a hint of mysticism stemming from Pagan and Celtic cultures still permeates the landscape and its people. The prehistoric monuments at Newgrange — or ‘Bru Na Boinne’ as it is known in Irish — is a structure older than Stonehenge and the Egyptian pyramids and was said to be home to some of the most revered gods in Irish mythology such as the Dagda. Closer to home on the Conyngham family lands lies another sacred site: the Hill of Slane, upon which St. Patrick lit his Paschal fire in defiance of the High King at nearby Tara. In more recent times, the Boyne Valley has become home to an emerging artisanal craft and food movement and a unique destination for kayaking, fishing, camping, and hiking.